Industrial Development Bank of India, IDBI Bank invites applications for the Post Head Treasury, CTO, HR, Head Data Analytics Vacancies. Interested and eligible candidates who wish to apply for this recruitment can apply for the vacancies on or before 08-04-2019. Pay Scale: Remuneration based on experience, Seniority level etc. CA/MBA/PGDM /CFA or other relevant postgraduate qualification from a recognized University/ Institution will be preferred. Certificate in Treasury Management, Certified Treasury Dealer Course is desirable. Engineering Graduate or equivalent qualification from a recognized University/ Institution. Executive presence and a reputation for building strong relationships with stakeholders and leading teams, both direct reports and in peer/ influence models. Experience: Minimum 20 years’ experience in the IT field, preferably with a software development background. Out of which minimum 10 years must be in senior executive level position, out of which minimum 3 years should be in the banking & financial sector. Proven experience in leading transformational changes and technology-enabled innovative solutions in IT, compliance monitoring, testing, and reporting. Experience should be a minimum educational qualification. (Training & Teaching experience will not be counted for eligibility). MBA/PGDM or other relevant postgraduate qualification in Human Resource from a recognized University/ Institution will be preferred. Experience: Minimum 15 years in Banking or Financial services industry and at least 8 years in the Human Resources Department of any Bank/FI in middle or senior position. Selection will be made on the basis of Personal Interaction. 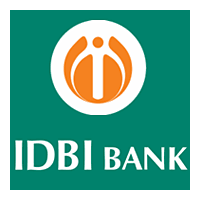 How to Apply for this IDBI Recruitment 2019? The General Manager, Human Resources Department, IDBI Bank Ltd, IDBI Tower, 21st Floor, WTC Complex, Cuffe Parade, Mumbai – 400005 on or before 8th April 2019 along with attested copies of relevant certificates.